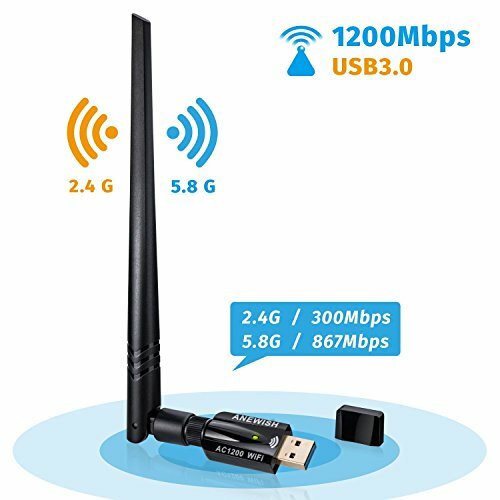 Ultra- fast speed up to 5.8GHz(867Mbps) or 2.4GHz (300Mbps), great ideal for any internet activities, such as on-line streaming of HD video, gaming, music, photo etc. Comes with USB 3.0 port which works 10 times faster than USB 2.0 USB port with gold plated ensures more stable and solid internet connection. Adjustable & detachable Omnidirectional antenna provides high performance and increased coverage for your wireless network. If any questions when using or before purchase, please kindly contact us via Amazon Message or send email to postmaster@xciptv.com, we will respond within 24 hours. If you have any questions about this product by ANEWISH, contact us by completing and submitting the form below. If you are looking for a specif part number, please include it with your message.